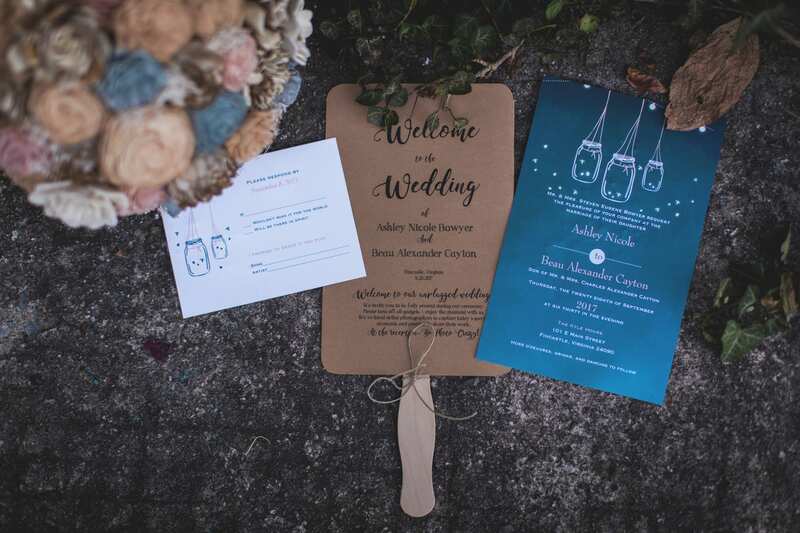 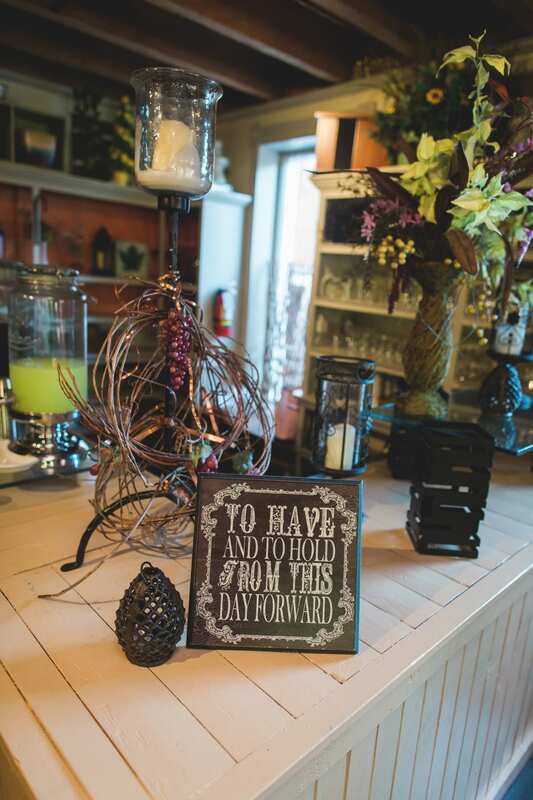 Saturday weddings are the most popular, followed by Friday affairs and the occasional Sunday. 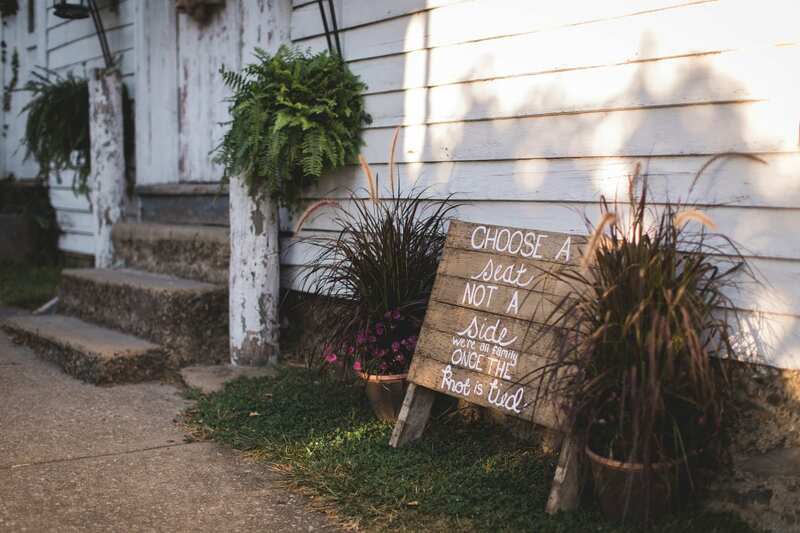 One reason is because it’s easier to get more people to come on a weekend. 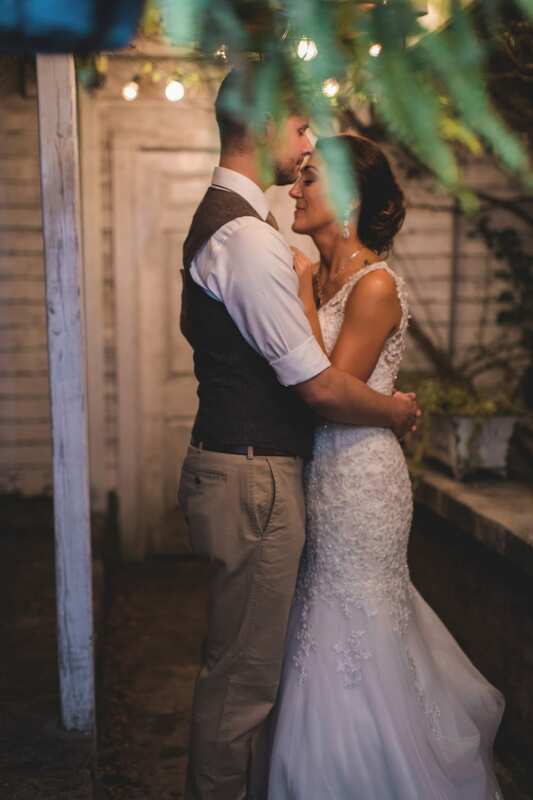 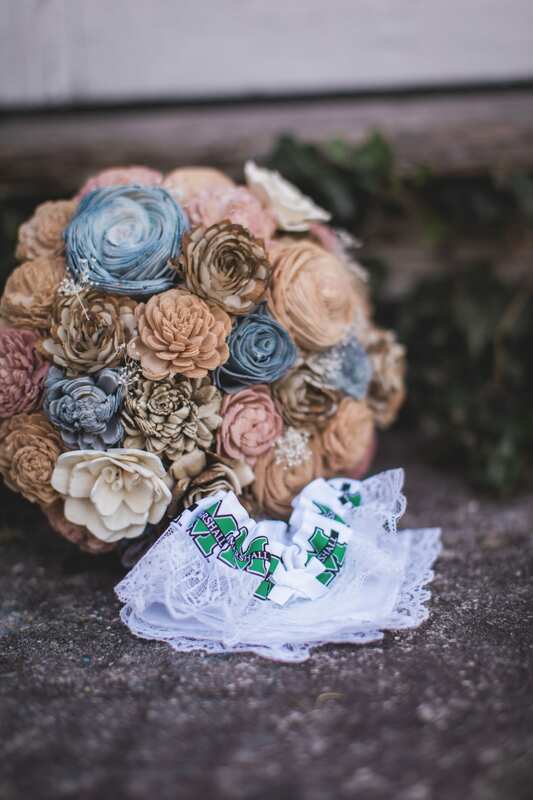 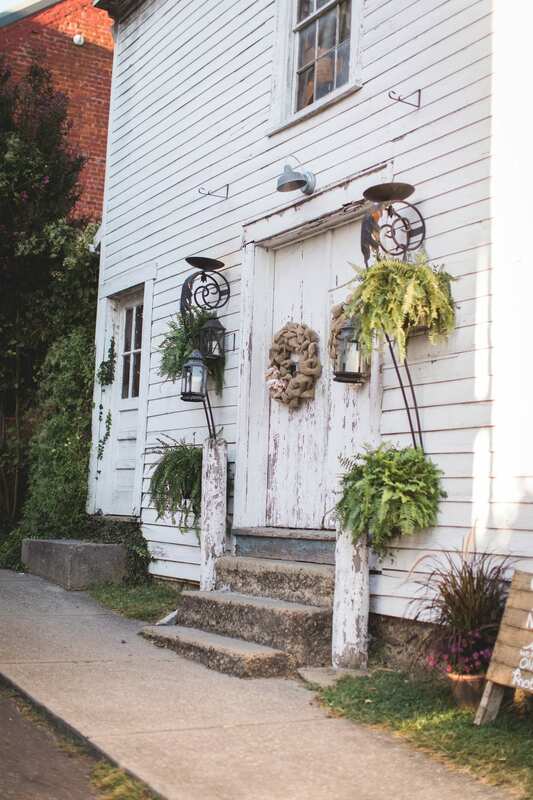 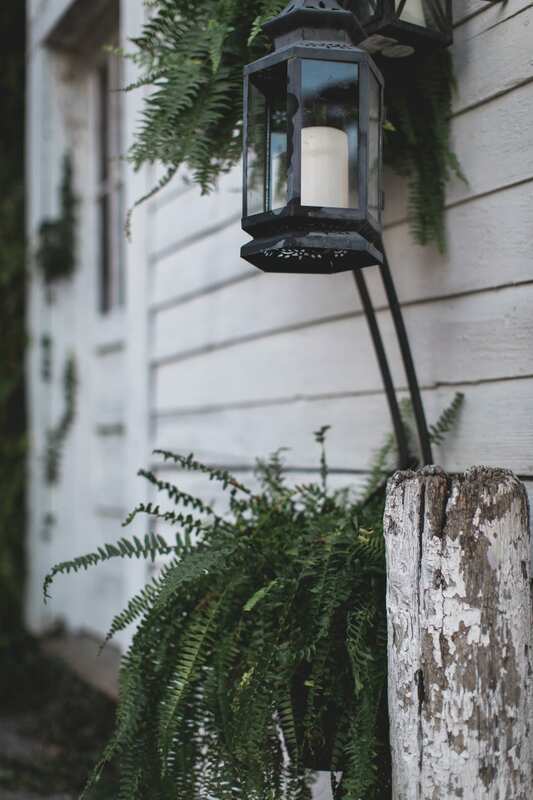 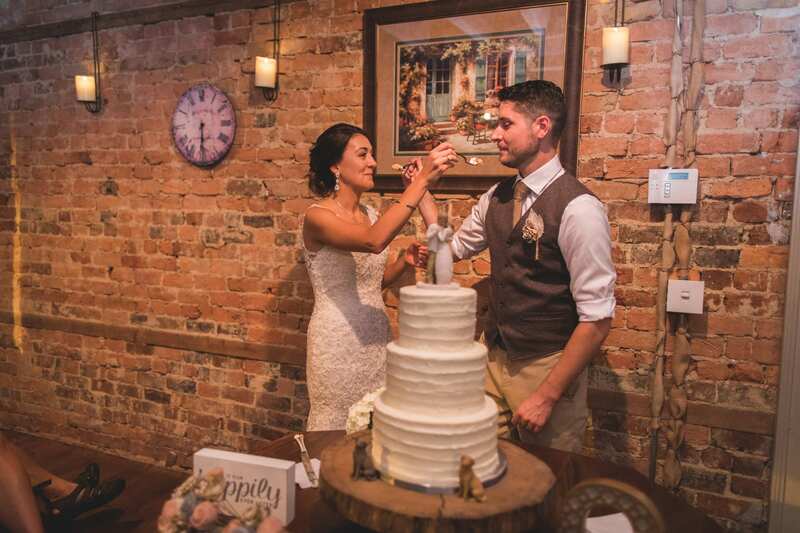 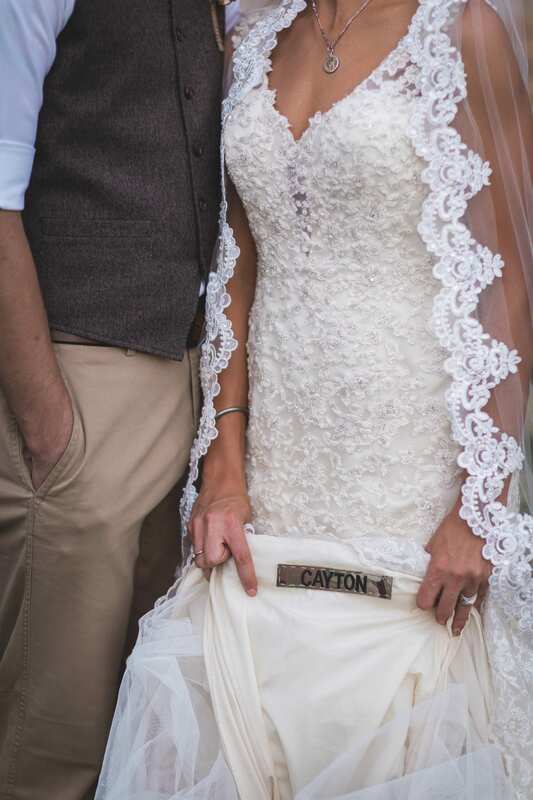 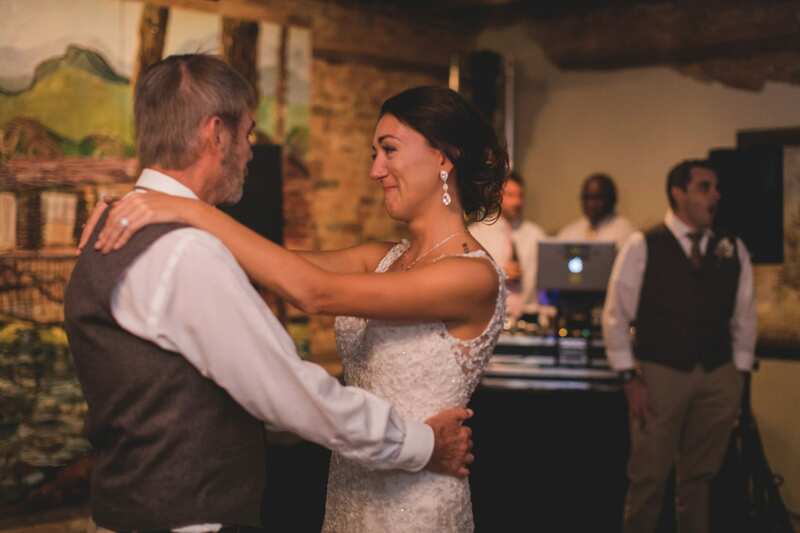 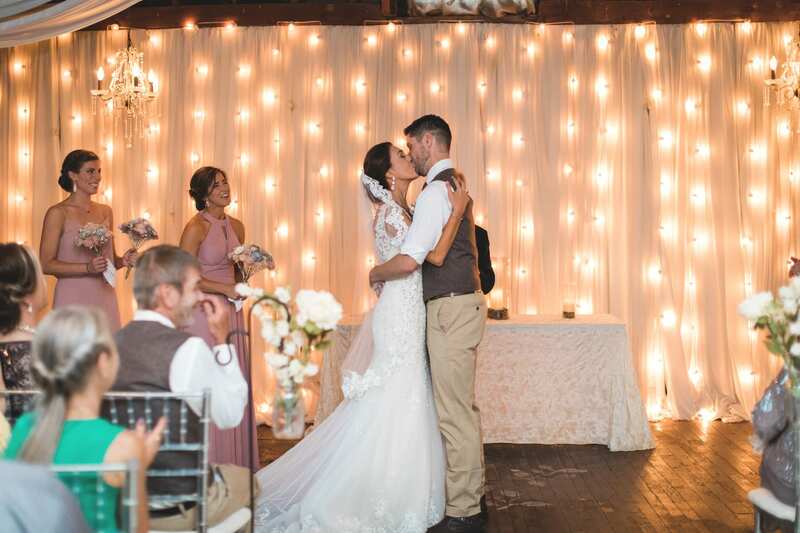 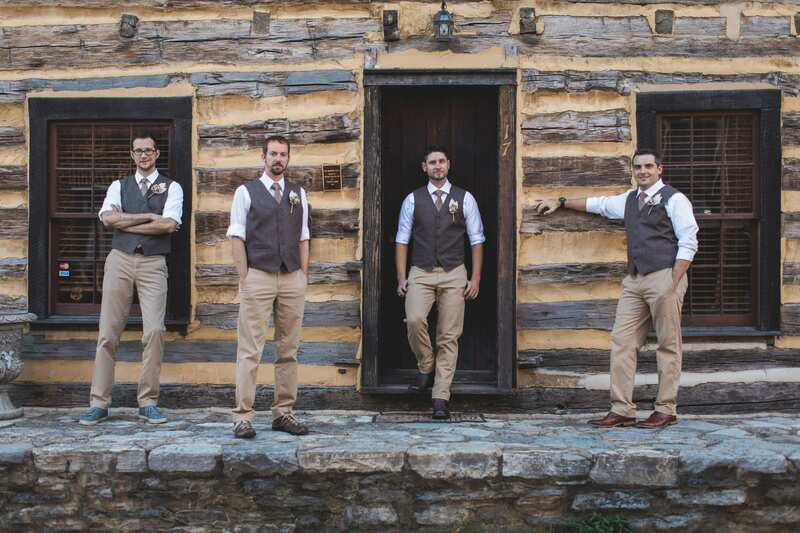 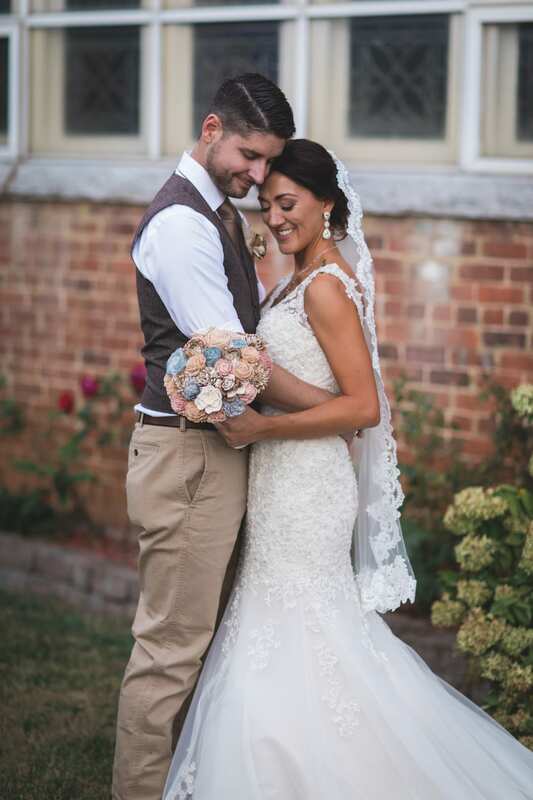 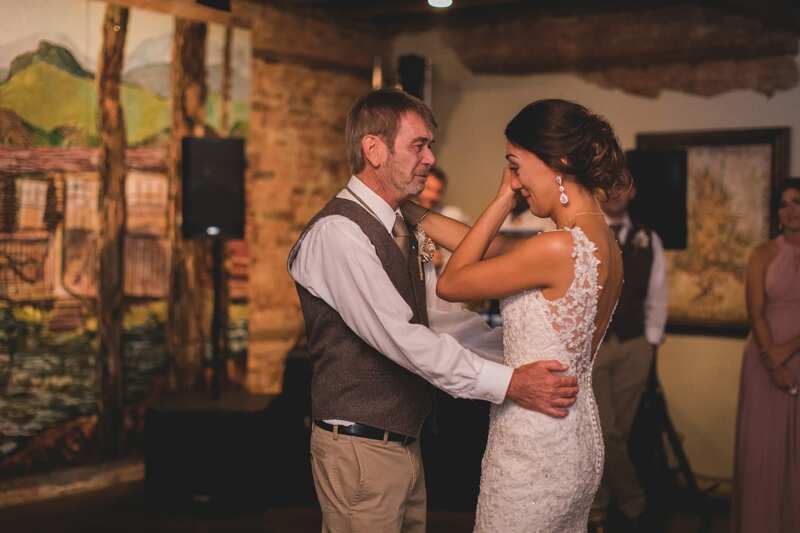 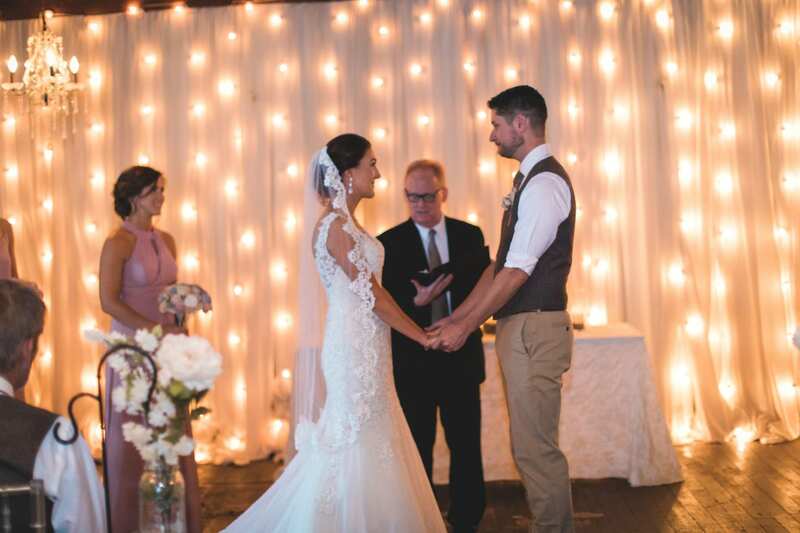 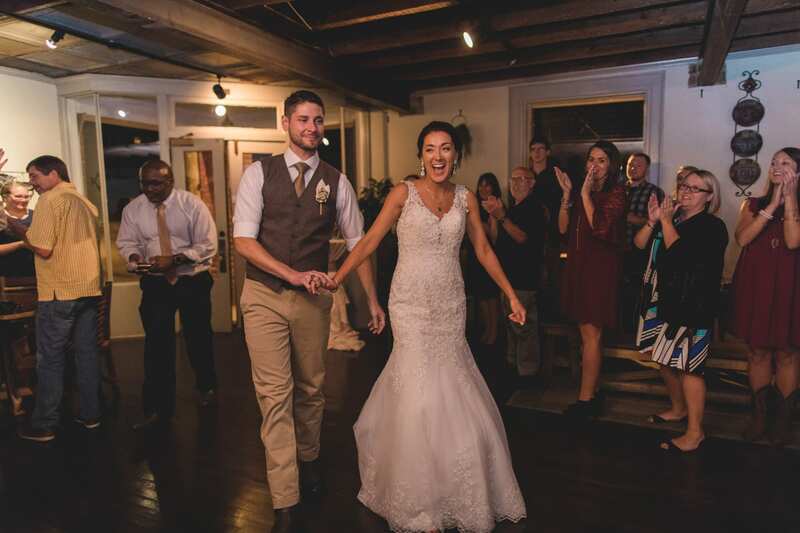 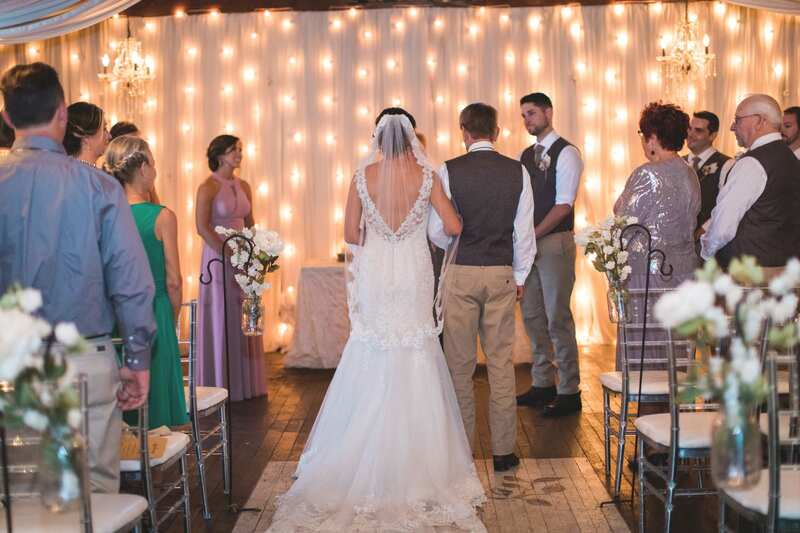 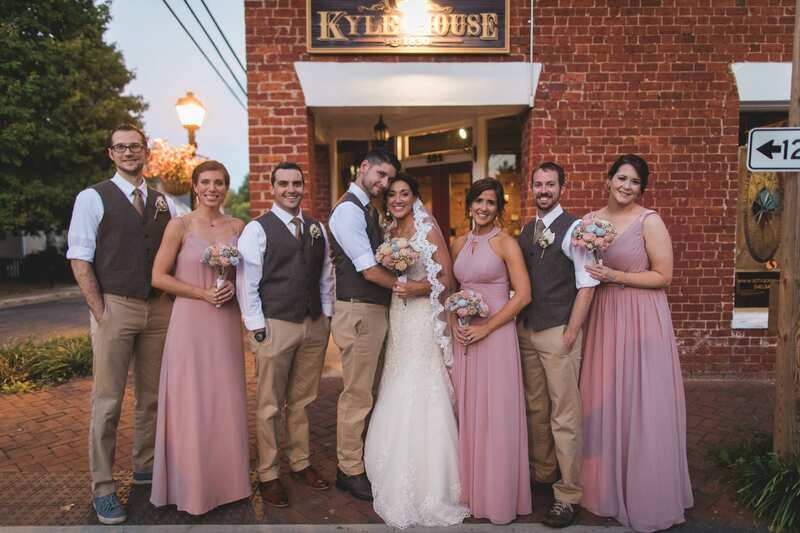 But for Ashley and Beau, who wedded on a Thursday evening at Kyle House in Fincastle, Va, having a small, intimate, and memorable wedding was more important. 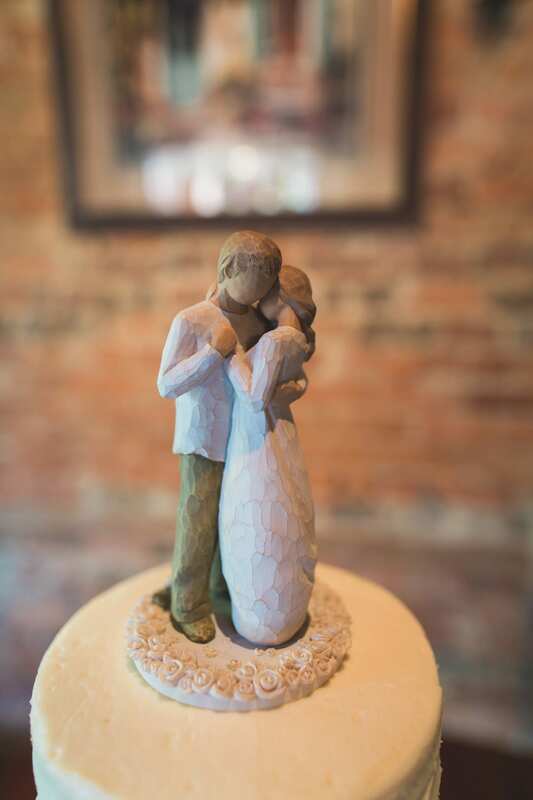 It’s also Jasmine Photography’s favorite type of wedding to cover. 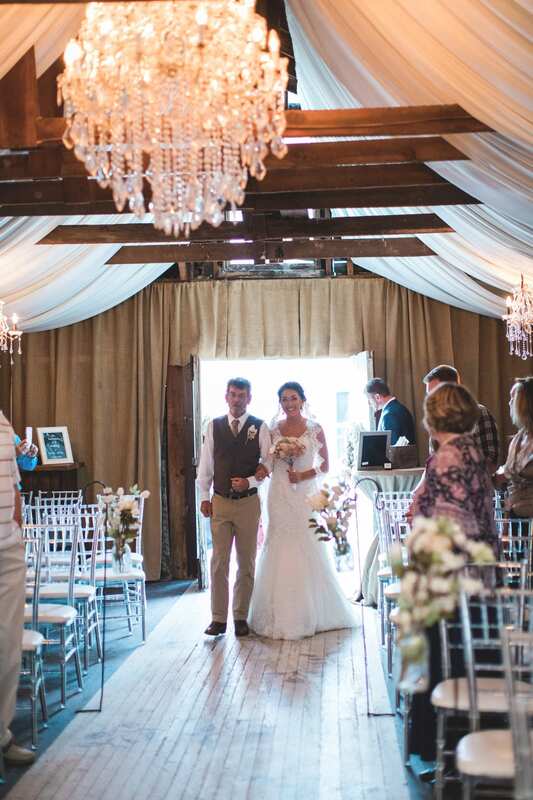 Draped white fabric hung from wooden rafters and overlooked an aisle, with French-country inspired seats and a glistening crystal chandelier overhead. 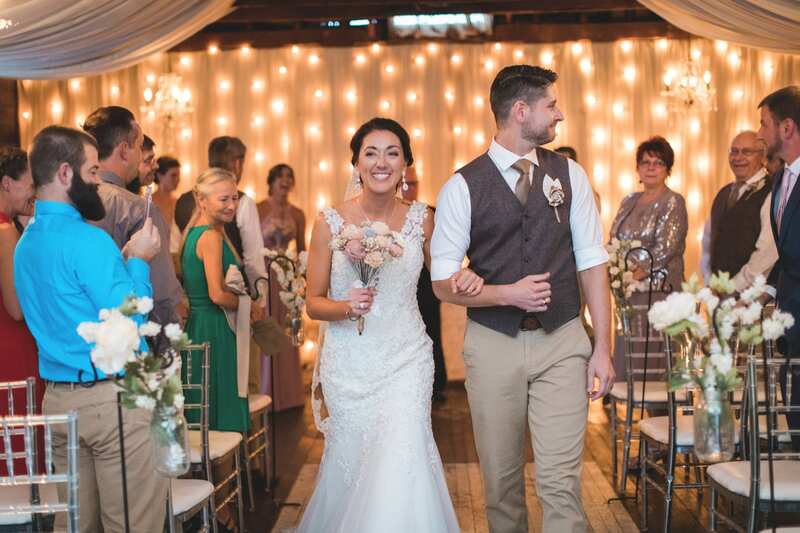 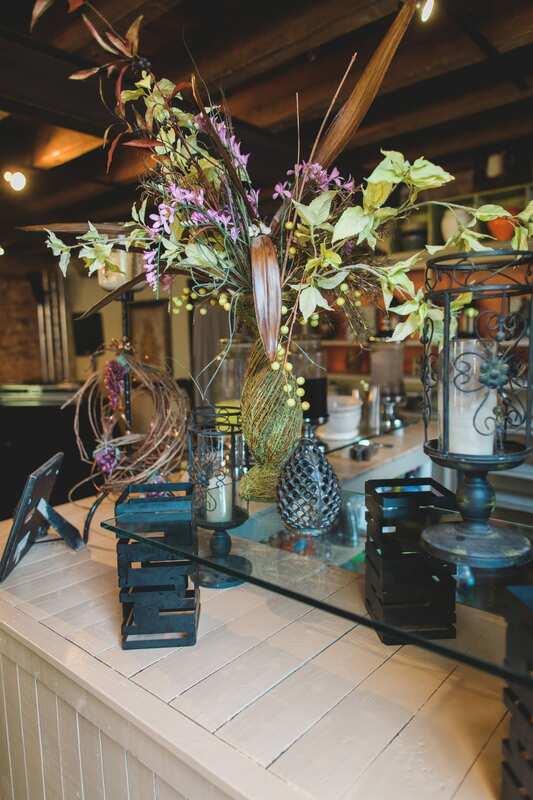 Simple white bouquets were placed at the end of aisles, and a table was filled with photos of the bride and groom’s earlier years. 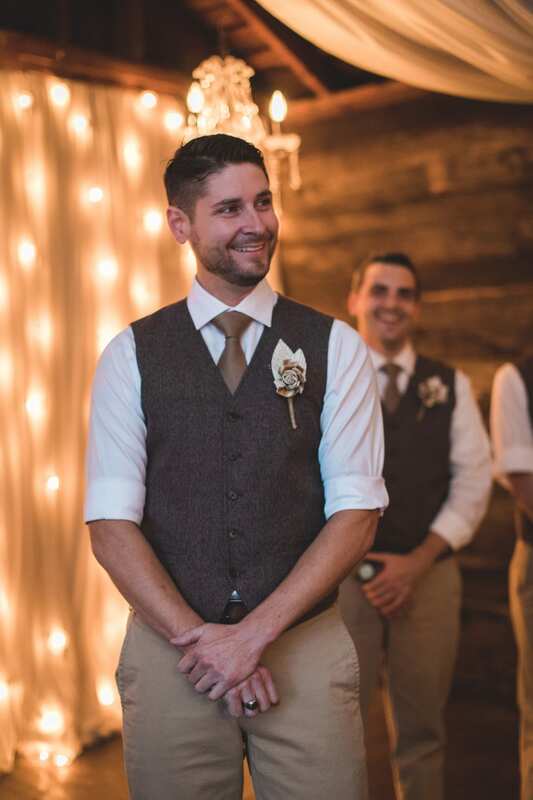 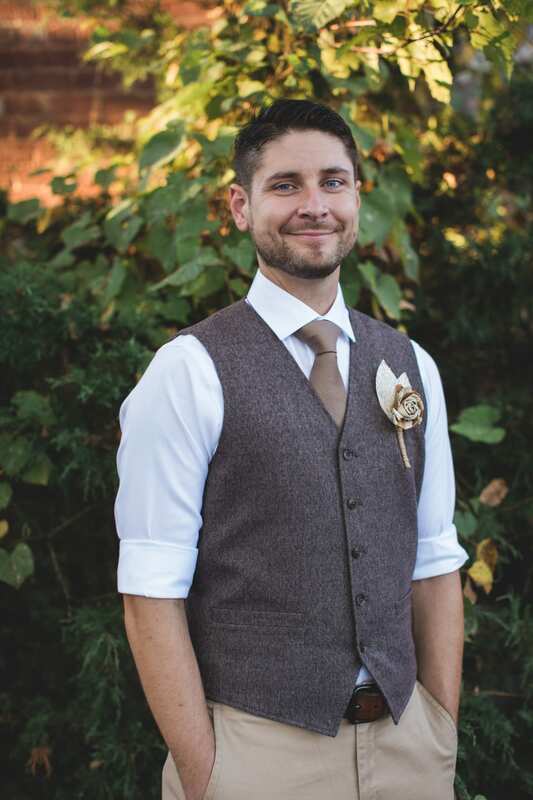 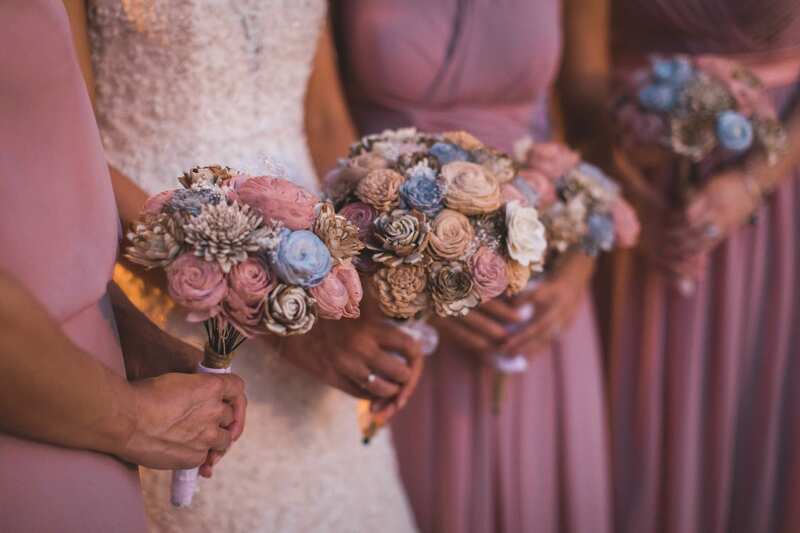 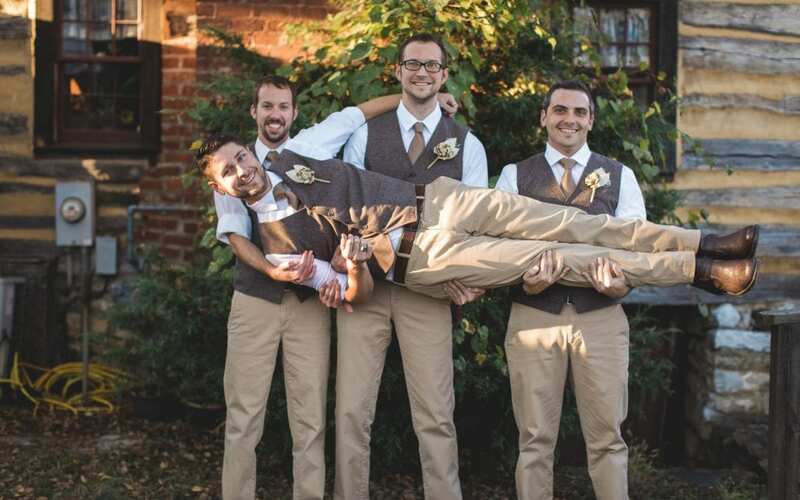 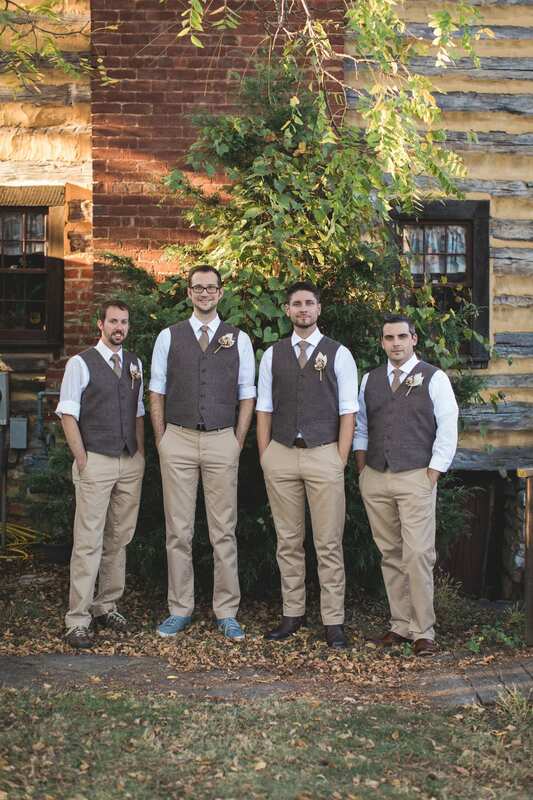 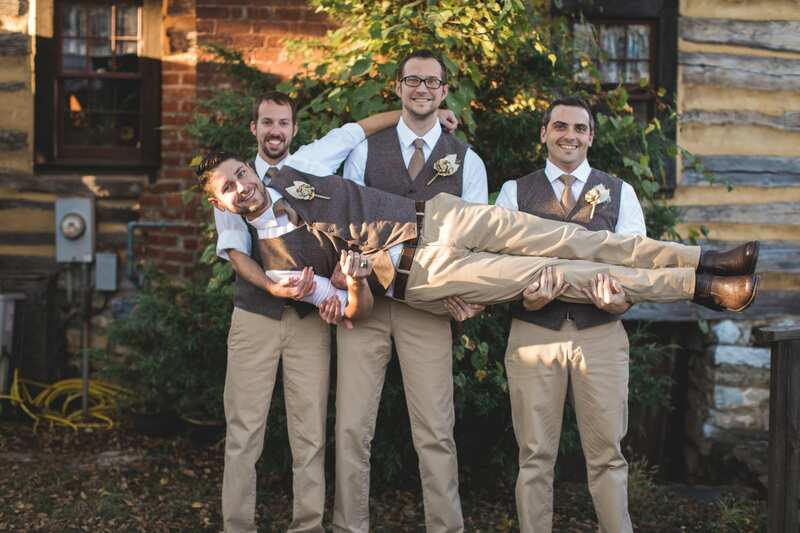 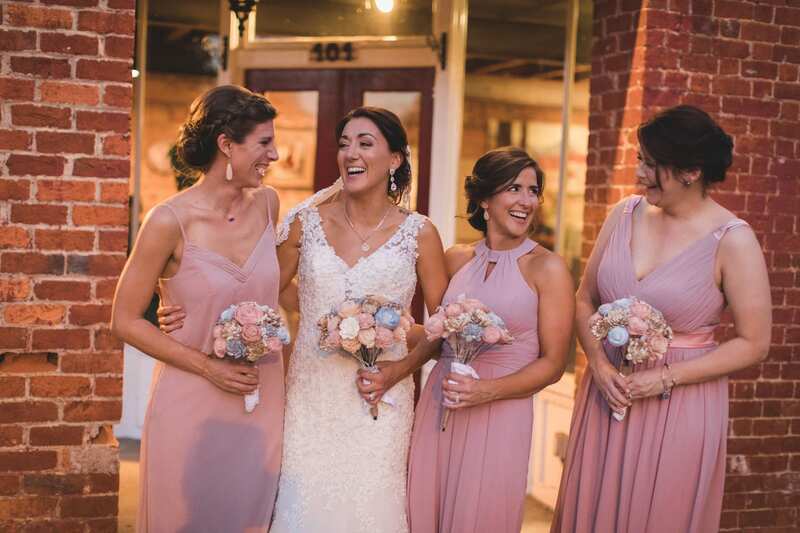 Soft, natural hues played to the ease and intimacy of the wedding: dusty pink bridesmaid dresses and brown vest with khakis for the groomsmen and groom. 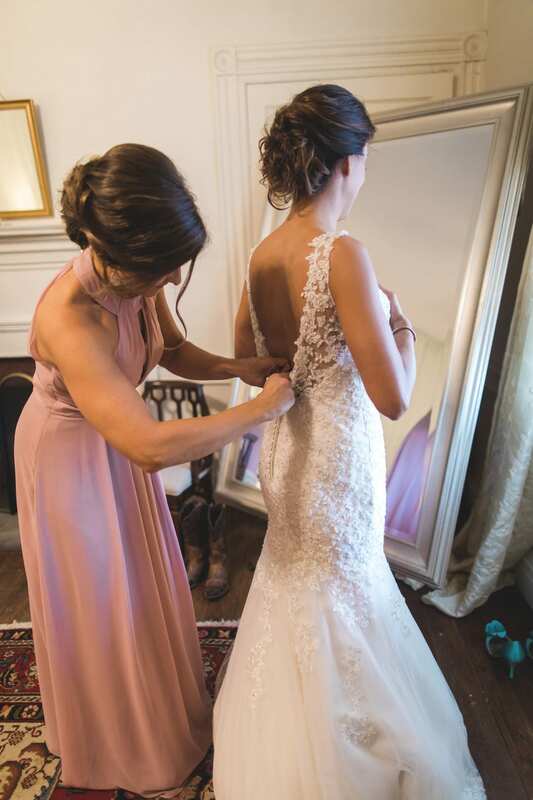 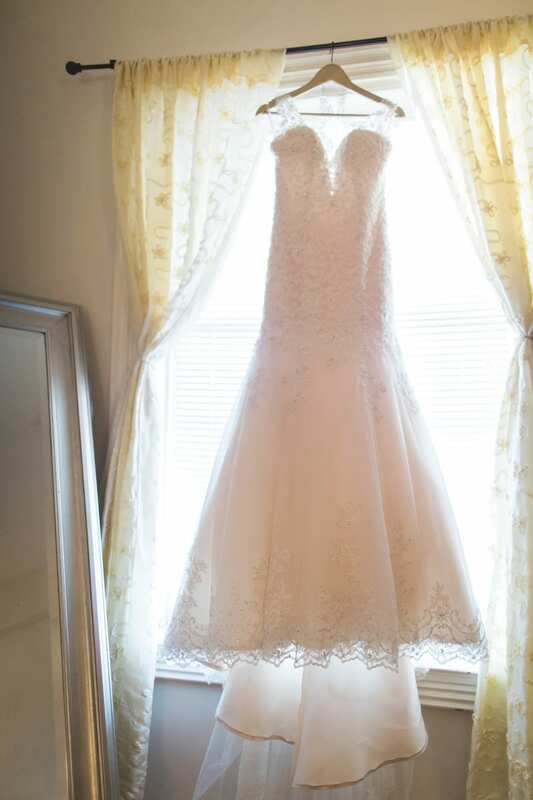 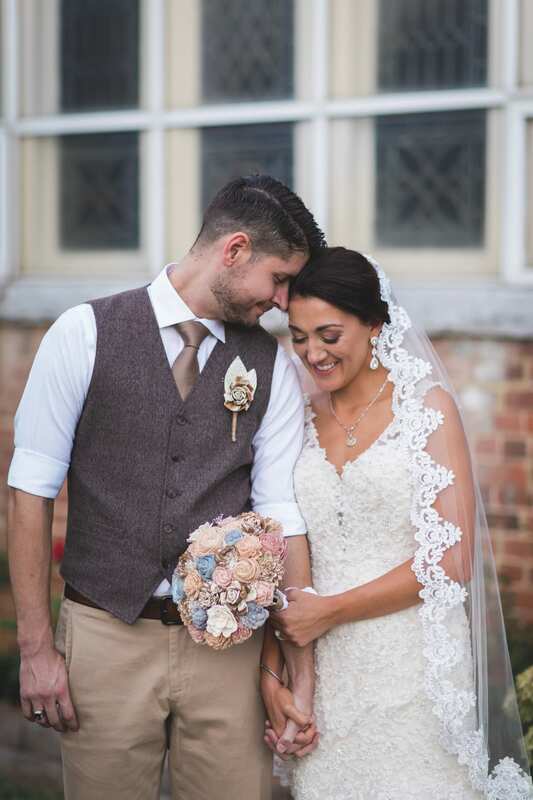 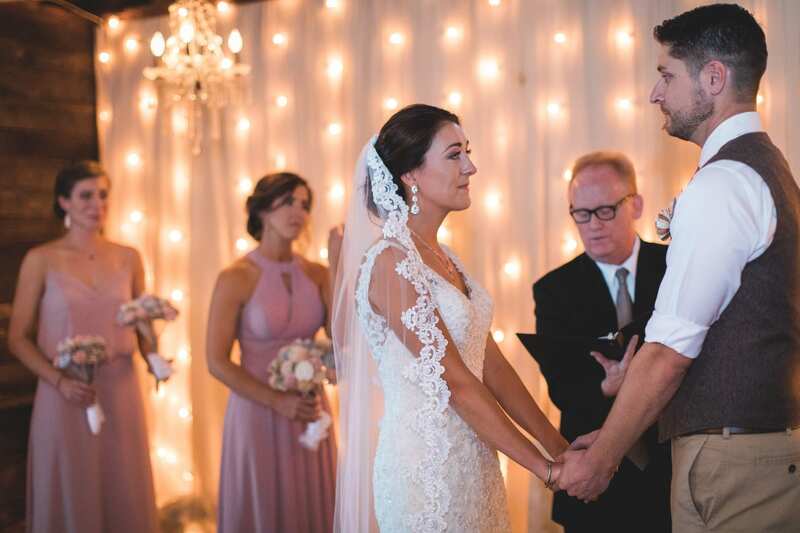 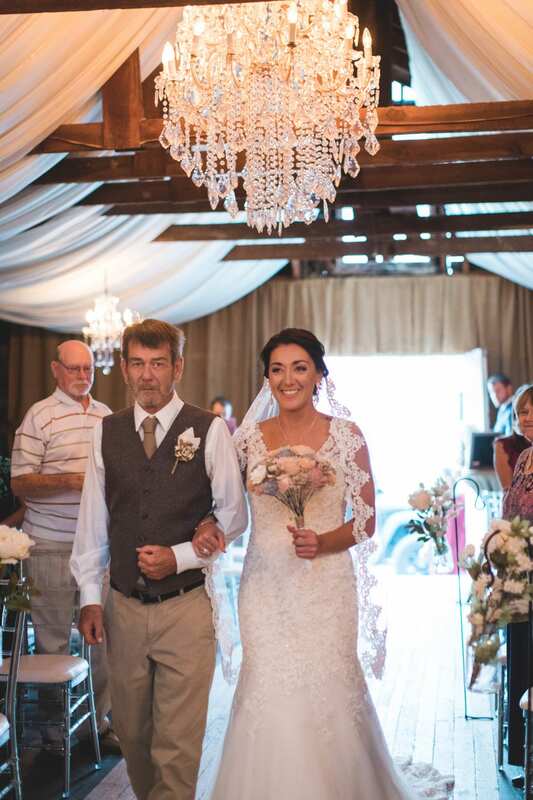 Ashley’s trumpet gown was soft and classic, with intricate floral embroidery tapering from the bodice. 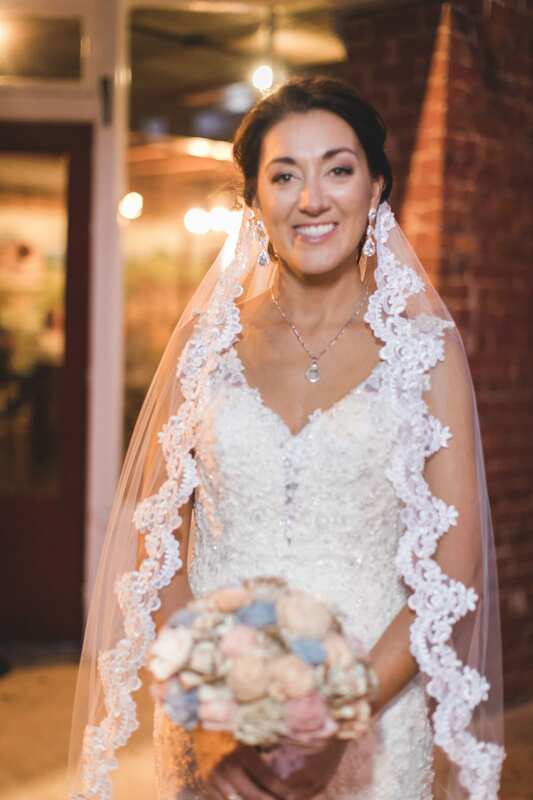 Drop pearl earrings and a gorgeous veil with lace detail added a subtly romantic touch. 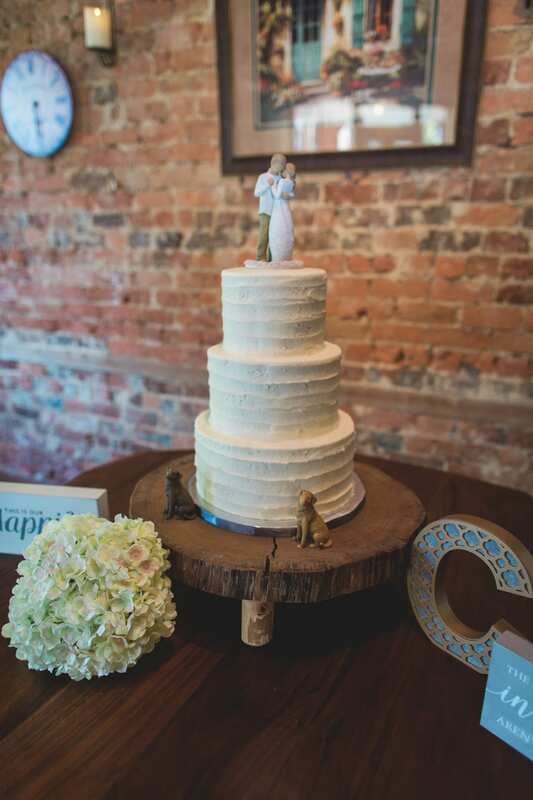 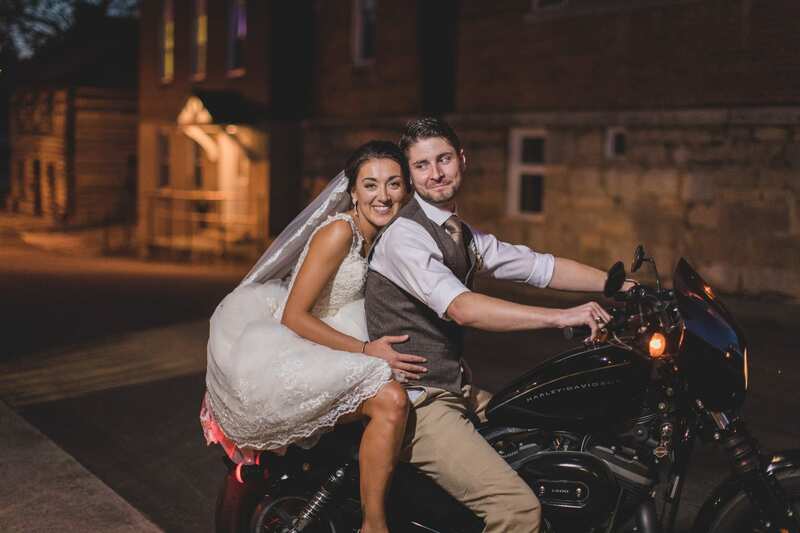 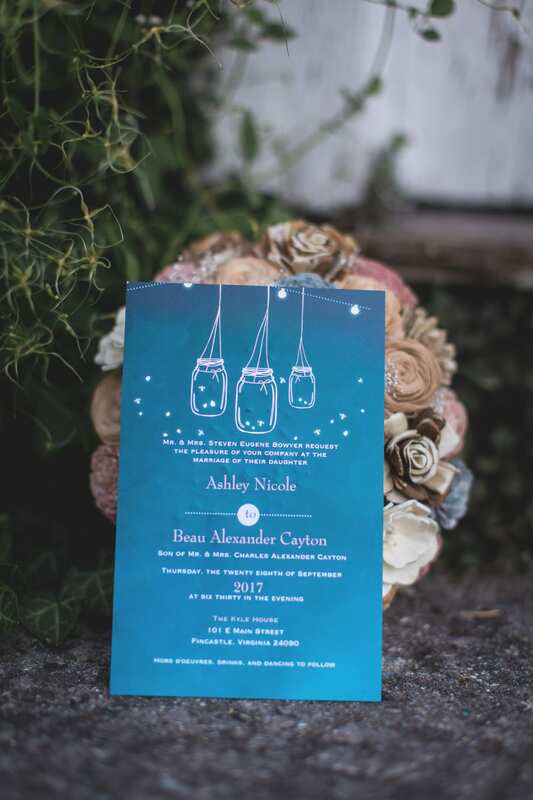 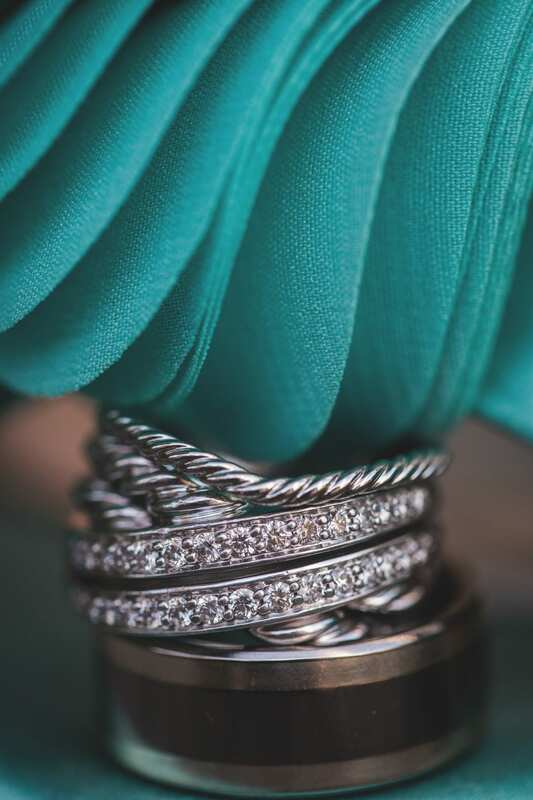 That isn’t to say their wedding wasn’t also fun: turquoise heels gave Ashley her ‘something blue’ as they danced the night away, cut into a three-tiered buttercream cake, and rode off on a motorcycle to start their lives together.